Candy Star is a classic match-3 game! Match 3 or more same shapes to enjoy the pleasure of elimination! Candy Star is an amazing game ! Exquisite graphics,colorful shapes,gorgeous special effects and a variety of items! Interesting feature levels beyond your imagination! Candy Star bring you a good mood! Slide your finger to enjoy the beautiful music and sound! 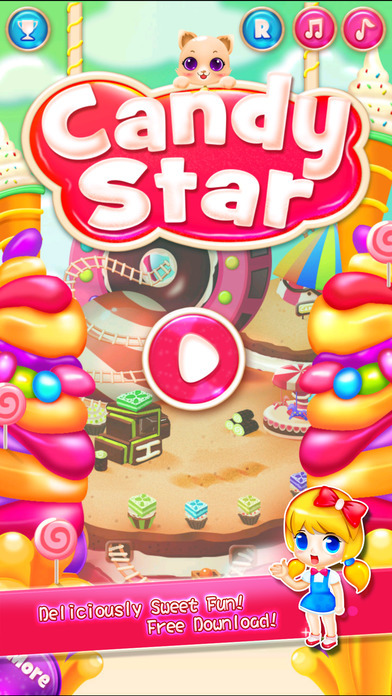 Candy Star is the best casual game that you ever played! Download it now to enjoy! Wonderland: best free candy match 3 puzzle game!